For the past three years, I made it a point to celebrate my birthday at the beach. Three years ago I celebrated it in La Union, 2 years ago in Puerto Galera and then last year in La Union again ( I really really love Elyu! 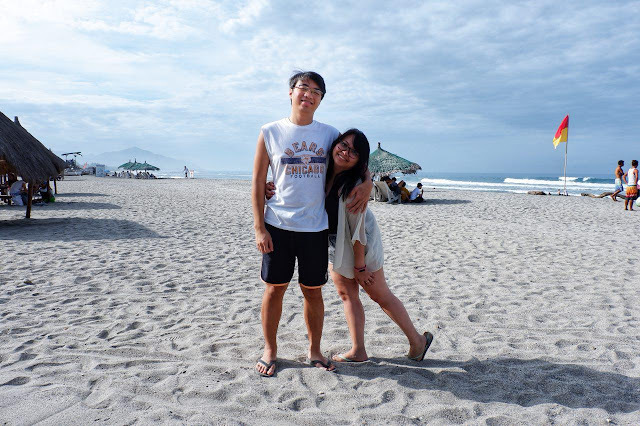 Check out my Baguio - La Union Itinerary!). 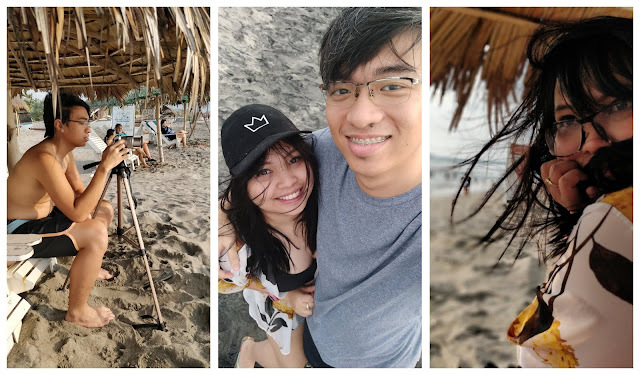 This year I decided to celebrate my 25th birthday in Crystal Beach at San Narciso, Zambales. I've read a lot of good reviews and saw tons of awesome photos from the place that's why I really wanted to visit the resort. We rode a Victory Liner Bus at Pasay Terminal (where I lost my phone a few minutes before we left for Zambales so be careful!) heading to Iba, Zambales. You can also opt to go to the Cubao terminal but we preferred Pasay since fewer people go there. One way fare from Pasay terminal to San Narciso is P314. We were dropped off in San Narciso, near San Sebastian Church. From there we rode a tricycle going to Crystal Beach for P30 for special trips. TIP: Make sure to check bus schedules online. We got the first trip in the morning, 5:30 AM. 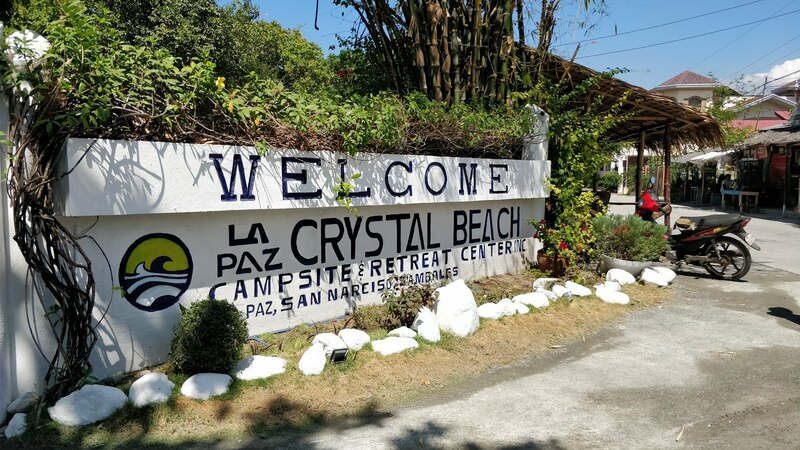 We arrived at Crystal Beach Resort around 10 in the morning. Check-in is 2 PM so we just left our things in the lockers in the reception area. We ate breakfast and explored the resort. Cottages near the beach are free so we were able to chill by the beach even before check-in. For accommodations, we booked online, thru their website. 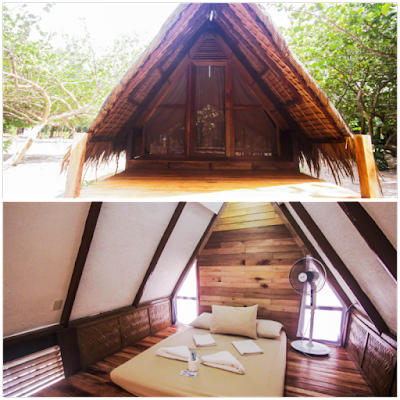 We were supposed to book the glamping tent but while browsing I really loved the Isaiah Beach Cabin so we booked that for P2,700 per night. It's a fan room with a common toilet and shower nearby. BUT, when we checked-in on the day, they overbooked the Isaiah Cabin and luckily we were upgraded to the Naomi Attic!! It's an air-conditioned room with its own toilet and shower. It costs P4,650 per night though we weren't charged for the extra since it was an error on their part. We were really thankful for this since it gets really hot in the afternoon and having your own toilet and bath is just really more comfortable. Aside from their cabins, you can also opt to go rent or bring your own tent and go camping. 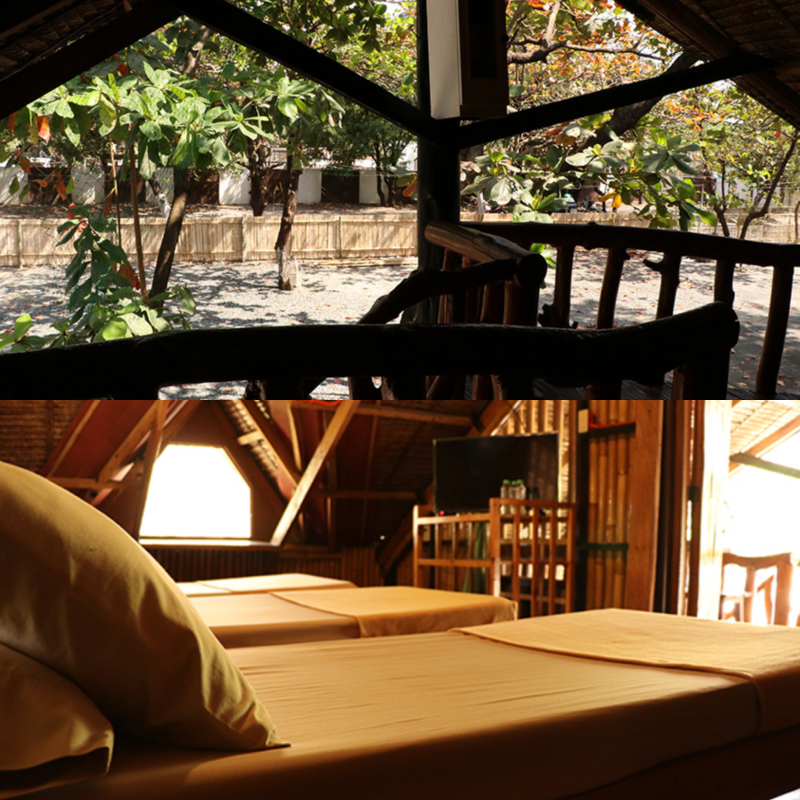 Accommodations at the resort range from P900 - P12,000. Note: During check-in, you will be asked to pay a P1,000 deposit which will be returned once you check-out. The only place you can buy food is at the resort's restaurant, Domingo's Grill and Restaurant. They also have grilling areas so you can bring your own food as long as you pay the corkage. Meals range from P180 - Php400. 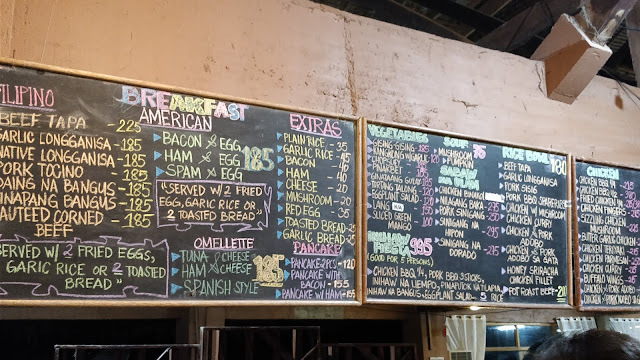 They have complimentary breakfast buffet during weekends but the restaurant tends to get crowded and we had to wait long before the food trays got refilled. What I love about Crystal Beach is there are tons of activities that you can do. You can surf, go island hopping, get a massage by the beach, or get a henna tattoo and many more. And since it's a private beach you can chill comfortably cause they only limit guests to 400pax. Loved the improvised swing sets! During the first day of our visit, the waves were really strong so we just relaxed, soaked in some vitamin D, and waited for the sunset. 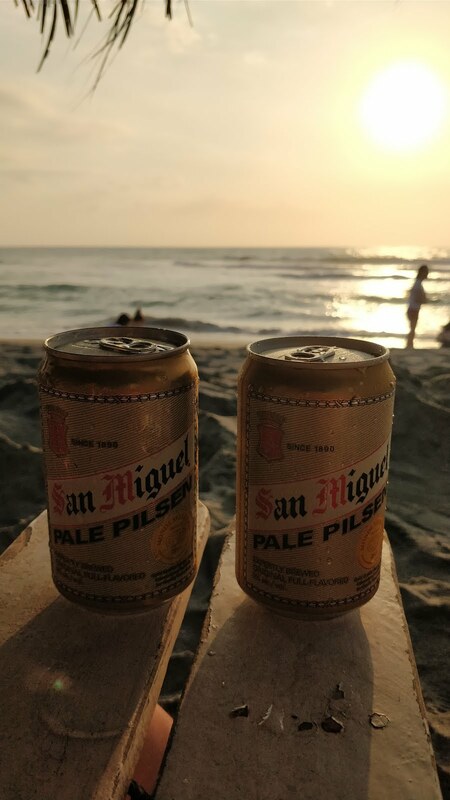 While waiting for the sunset, we got to really appreciate everything. The sound of the waves surrounding me, the heat of the sun on my skin, fresh air on my face and the cold wind blowing through my hair. At night, the resort transforms into an acoustic lounge. Tables and banigs are placed on the sand. Bonfires, candlelight dinners and a band serenading you through the night. 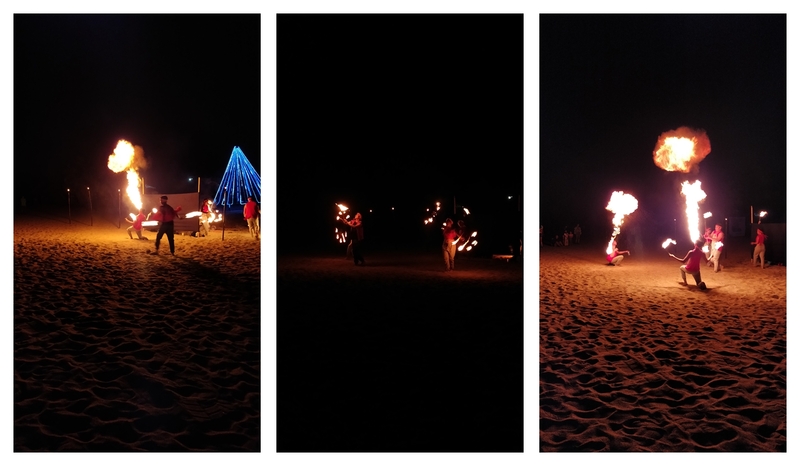 They also have Fire Dancers!!!! All in all, it was a big thumbs up!! It's near Manila, the staff was really accommodating, the place was well kept, pricing is well within the budget and there are tons of activities to choose from. Definitely coming back here! Check out other photos of our trip. Check out our 3-Day trip to Taiwan here! Great post! Such great place to visit. 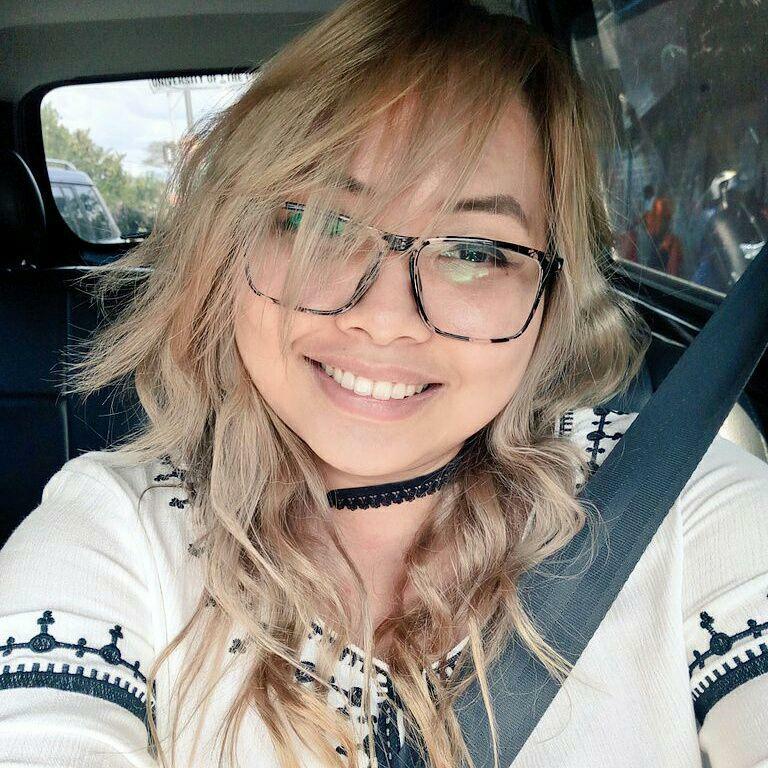 Hi, I'm Iel! This blog is my attempt to push myself to live more and fear less! Here you'll read my thoughts, opinions and experiences on work, traveling, food, and life. Figuring stuff out one little step at a time. © iel in the middle. Design by FCD.